VICO was founded in 1984 when Jesus Villarreal decided to pursue his dream of providing affordable metal stamping services a relatiy. With 20 years of experience and certification as a Tool & Die Maker, his dream took shape in his garage. His shop's ability to quickly turn around jobs at competitive rates gained him recognition throughout Houston and respect among his competitors. 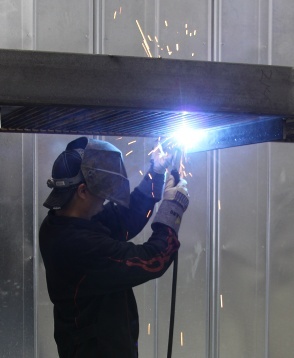 VICO has grown to an impressive 8,000 square foot facility with top-of the-line equipment. VICO continues to expand to new levels while maintaining the Fast Service, Competitive Pricing and Quality Workmanship they've become known for. Most of VICO's customers come to us by word of mouth and we are proud to say that our first customer is still with us today.